Hi guys! 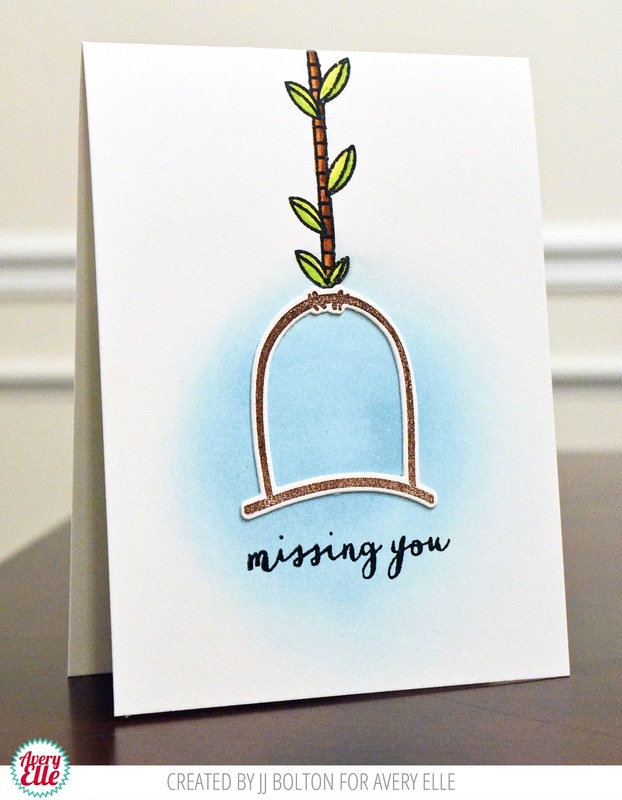 Just stopping in to share a couple of cards I made with the summer Avery Elle release! 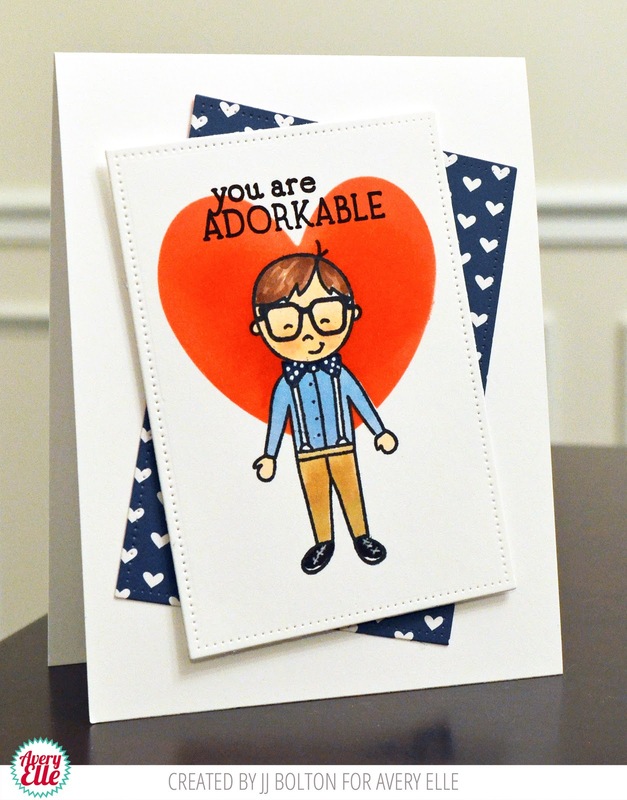 This first card uses the Geek Love set and the matching die. Instead of die cutting an aperture with the die, I used it to create a mask and blended the background heart. I love the softness and depth of that blended ink heart:) To create the panels, I used the Double Pierced Rectangle die set. These next two cards were made awhile back, but didn't get a chance to get them up on the blog yet. Both of these use the Tweet Tweet stamp set. 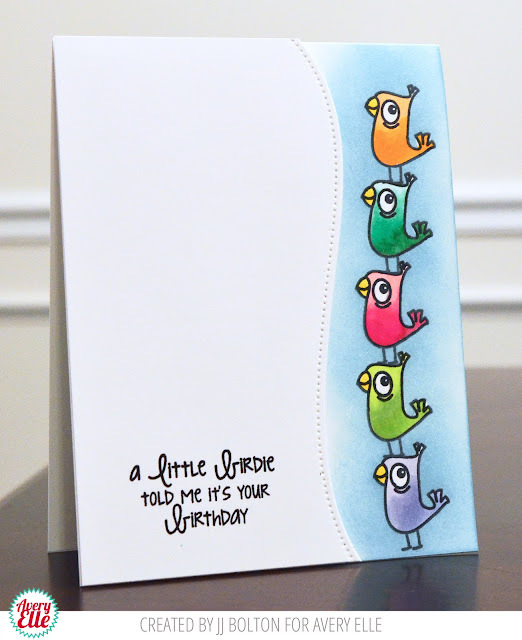 For the card below, I just chose my favorite of the bird stamps and started stacking them up! For the overlay panel, I used one of the dies in the Dotted Borders die set to create that wave cut. My last card also uses the Tweet Tweet stamp set, but in less obvious way. This card was inspired by a movie that my mom used to love called Paulie. It's about a parrot trying to find his way home and it's such a sweet story. Great cardst JJ! The stack of birds are a colorful rainbow, and the empty nest is brilliant. Haven't gotten my hands on the nerd set yet, but it's on my list now! Hi - A Little Birdie told me it's your birthday - adorable. How did you do the blue background without compromising the birds? They didn't look die-cut..... Thanks! You always know how to make me smile! Absolutely adorable cards, JJ!